Getting your windows replaced in your home might not be the top priority for you, but they definitely should be. Depending on the age and condition of your windows, you could be losing more money in the long term than you’re saving by opting to keep the ones you have. But how do you know you need a window replacement? If your windows are foggy, drafty, difficult to open or close, and have rotten frames, it might be best to consider contacting a window company for replacements. New windows can save energy, keep temperatures within a comfortable range, improve security, and provide a better return on investment if you decide to sell your house. According to the National Association of Realtors, a replacement of windows can get an 80% return on investment at the sale. That makes it a solid choice for a home project. Now, purchasing new windows might seem costly at first glance. But when compared to increased energy costs per month, you can save a lot. Older, single-pane windows are often the source of 30% of the home’s heat loss. New windows, on the other hand, are designed to keep heat in or out, depending on the season. The best windows will be found at a window company. If you’re not sure how to install your home windows, these window companies will have installers that can do it for you. 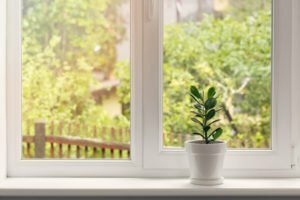 Window installation might now seem like a difficult task, but you want to make sure it is done right to reap the most benefits. Some insurance companies might even offer reduced monthly rates if you get replacement windows, as they can have better and more secure locks than older ones. This means that you can save even more money in the long term. There are other benefits as well, including an increased appeal to your home. So while the initial investment to get new windows might be a hefty out of pocket cost, you can actually save money in the long term by getting them installed. There are a lot of benefits to getting new windows for your home. If you have questions about window replacement and the benefits associated, contact us. We’ll be glad to assist you.